We have a number of room and suite options to meet the unique and diverse needs of our guests who stay with us. 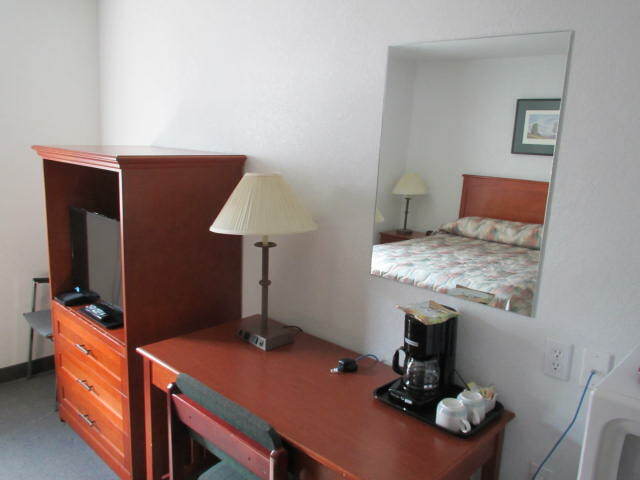 In addition to our one and two bed Standard Queen rooms, we also have many Two Bedroom Suites. Suites feature two or three beds with one bed offset in a second bedroom with each bedroom having their own flat screen. Perfect for families and companions needing some extra privacy while travelling. Choice of a luxurious Queen or King Bed featuring Sealy© Posturepedic Mattresses. We feature kitchenettes in some of our one bedroom suites. Refrigerator, microwave, coffee maker, flat screen televisions and continental breakfast are included in all Standard Queen Rooms. 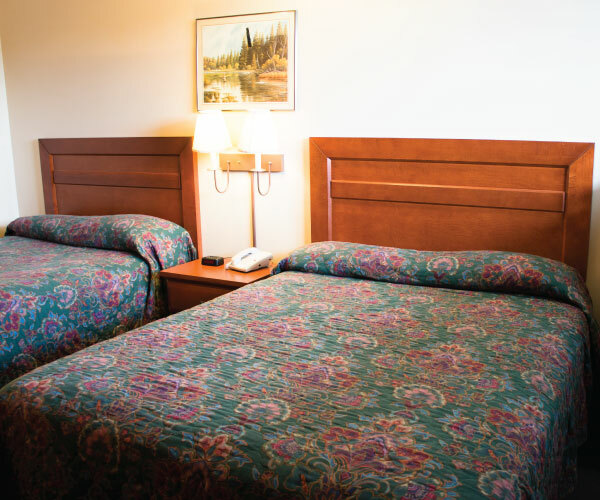 The Lazy J Motel offers double occupany rooms in a variety of choices that will suit your individual needs. Refrigerator, microwave, coffee maker, flat screen televisions and continental breakfast are included in all Two bed rooms and Two Bed Suites. Ideal for groups of three to six people. These rooms are great for families and travellers needing extra space. Refrigerator, microwave, coffee maker, flat screen televisions and continental breakfast are included in all three bed units. Ideal for our long term guests or those longing for a home cooked meal while on the road. Kitchenettes include; a double stovetop, refrigerator, microwave, coffee maker, cookware, utensils, and dishes. Two rooms on site are equipped with accessible washrooms. Features include shower stalls with railings and a bench, large pedestal toilets with wall mounted guide rails, and oversized faucet handles.